Tomorrow’s Youth Organization, Nablus is proud to host ‘Shooting back from Palestine’, an exhibition of youth photography. In association with the Paltel Group Foundation and the Palestinian Youth Association for Leadership and Rights Activation (PYALARA), the opening ceremony will be held this Sunday (24th July 2011), 12pm, at the TYO Center (Zafer al-Masri Foundation Building), Khallet Al-Amood, Nablus. Tomorrow’s Youth Organization has its own youth arts and photography program, Triple Exposure and is delighted to host such a like minded project and inspire our own young photographers and artists. 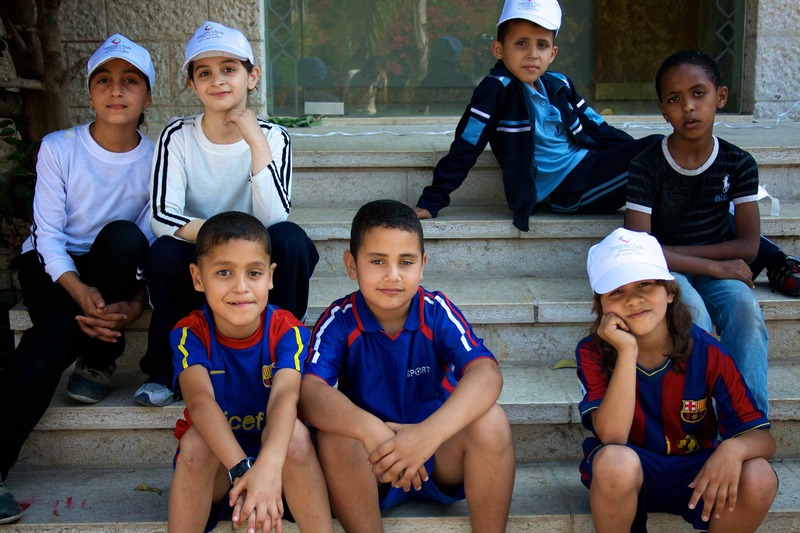 Please join us this Sunday to view this amazing collection of photos from all over Palestine. The exhibit will run for two days. In honor of the 4th of July, TYO staff, interns and volunteers headed to the neighborhood park for an afternoon of community service. Serving our community in Nablus is just one of the ways that we at TYO pay tribute to this day of independence – honoring community, equality, human rights and opportunity for all. On this 235th anniversary of American independence, we are reminded of the centuries old, rich and unique history of Palestine. It is a history that reflects the extraordinary resilience of its people and the sense of community and family that we experience firsthand every day. Today we take a moment to honor those around the world who continue to strive for freedom and human rights. We are committed by our common aspirations for a better world for tomorrow’s youth. Humaira is the TYO Nablus Center Director. On Thursday, June 23, 2011, Zahi Khoury and his wife, Amal visited the TYO Center. Mr. Khoury, Founder and CEO of the National Beverage Company and Chairman of Partners for a New Beginning Palestine, toured the Center and visited our weekly Thursday Sports Day. Over a working lunch catered by Nehaya, a Fostering Women’s Entrepreneurs (FWEN) participant, Mr. Khoury discussed TYO’s programming and activities with several program managers. Several FWEN program participants presented their business plans and first steps to Mr. Khoury and received personalized feedback. TYO is a proud member of Partners for a New Beginning. 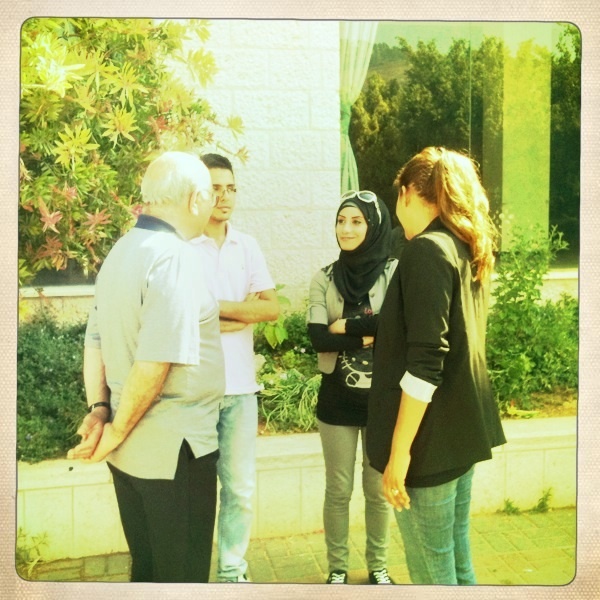 We were ecstatic to host Mr. Khoury and his wife and look forward to future shared efforts in Palestine. Today we mark World Refugee Day. For TYO staff, volunteers, and interns it was especially poignant as we spent the afternoon at Balata Refugee Camp – the largest camp in the West Bank. With over 30,000 residents on 1 kilometer of land, Balata is a microcosm of the plight of Palestinian refugees across the region. With limited access to water, sewage, health, and educational services, camps are a haven for disease, poverty, and unemployment. Children are the most vulnerable victims. Without access to quality early childhood education and the space and freedom to play as every child should have, psychosocial problems such as post traumatic stress disorder and aggression are on the rise. It is for this reason that the dedicated team of TYO staff, volunteers, and interns work hard each and every day to bring a little hope to each member of our refugee community. Today was no different. After filling the bus up with staff, teachers, volunteers and interns, we took the five minute drive down to Balata, following the gentle, rolling hills that lead away from Nablus city center. After setting up shop at a local community center, soon came a jolt of brightness, of energy, of hope, of life. What a day! Young boys and girls made their way in waves, cautious and curious at the same time. We welcomed them, shared some introductory games and songs, and fed off their effervescent presence. We split the group, some engaging in thrilling relay races and sports games, others having the chance to embrace their artistic side: for the latter, we asked that they design a peace letter, illustrating and decorating a card of self-expression, showing who they are to the world, showing the peace they hope for to the world. I hope these photos can do it some justice. Thanks to Andrea of S.O.W. for the great work! This afternoon, TYO held a mini-marathon with obstacles and, of course, prizes for the children! Here is a picture of some children resting before the run.